So if you are not seeing people healed or you are not being healed, you should examine your own faith to see if you are not reprobate because Jesus Christ still heals today? The total foolishness of the so-called cessation theology demonstrates that people do not study the Scriptures in Greek. While teaching at a FGBMFI Retreat in Sault Ste Marie, NY, I was approached by two Bible College Students who were studying for the Baptist ministry. I had completed a lecture about the 15 Gifts of the Holy Spirit and how they are to be used in ministry. They told me that they didn’t believe what I was teaching because they believed that the Gifts of the Holy Spirit and Signs, Wonders and Miracles were not for today. I asked them if they had studied Greek and they both said that they had. I opened my Greek Bible up to 1 Cor. 13: 10 which says, “but when the perfect comes the imperfect will pass away.” The Greek word for perfect comes from the Greek verb “teleioo” is “teleion” meaning perfect end. I then turned to 1 Cor. 15: 24 which reads, “Then come the (perfect) end (telos), when he (Jesus) delivers the kingdom to God the Father after destroying every rule and every authority and power. Paul goes on to explain that this will happen, “For the trumpet will sound, and the dead will be raised imperishable, and we shall be changed” (1 Cor. 15: 52). The Greek word, “telos” comes from the Greek verb “teleo” which is defined as; 1. to complete an activity or process, bring to an end; 2. to carry out an obligation or demand, carry out, accomplish, perform, fulfill, keep. Both words mean the same thing: the end of time when Jesus comes back to raise the dead. So both words mean that the “perfect end” will not come until Jesus comes back. They are both used to mean “to complete an activity, complete, bring to an end, finish, accomplish”. Telos refers to a point in time marking the end of a duration, end, termination, cessation, the last part of a process, close, conclusion, to be at the end, finally, the goal toward which a movement is being directed, end, goal outcome. Jesus used “telos” in Matt. 24:6, 14; Lk. 21: 9. There are many references in the NT using both Greek words to mean that the perfect will not occur until Jesus returns and the dead are raised. Until the, the 15 Spiritual Gifts of the Holy Spirit are distributed so that all of people’s needs can be met (Rom. 12: 6 – 8; 1 Cor. 12: 8 – 10). And, by the way, when the two Baptist students read the Greek, they realized that the teaching that they had received was not accurate or true. I said, “Now you have had your eyes opened, what will you do now?” They went away without a word. Anybody who has studied Greek often runs into a difference between the various interpretation of Scripture which disagree with church doctrines. Jesus called of such mis-interpretations, “So, for the sake of your tradition, you have made void the word of God” (Matt. 15: 16; Mk. 7: 13). This entry was posted in WALTER'S WEB and tagged cessation, christianity, ERROR, FAITH, FALSE PROPHETS, FULL GOSPEL, GIFTS OF THE SPIRIT, HEALING, HOLY SPIRIT, JESUS CHRIST, THE BAPTISM OF THE SPIRIT, THEOLOGY OF ERROR, VICTORY, WALTER KAMBULOW, WORD OF FAITH on August 31, 2014 by WALTHOPE. … NOTHING CAN TAKE IT FROM U UNLESS U GIVE IT AWAY !!! We all have times when people or circumstances come against us ─ times when we feel cheated, mistreated, wronged or taken advantage of. Maybe you’re facing a difficulty today and you’re not exactly sure how to handle it. If we look to the Word of God, we see that Jesus set a powerful example for us to follow. He was the King of kings and the Lord of lords in human form! He carried all the power in heaven and earth inside of Him. Yet, when He was about to go to the cross, when the people were mocking Him, ridiculing Him, persecuting Him and lying about Him, He didn’t try to defend Himself. He didn’t try to set the record straight. Do you know what He did? He just rested in the place of peace. He rested in who He was. He stood strong knowing that God, His Father, would deliver Him, and He would have victory in the end. God has given us peace. Hold on to that peace because nothing can take it from you unless you give it away. Don’t let offense creep in and steal peace. Offense is a liar. It will steal from you and drag you down. 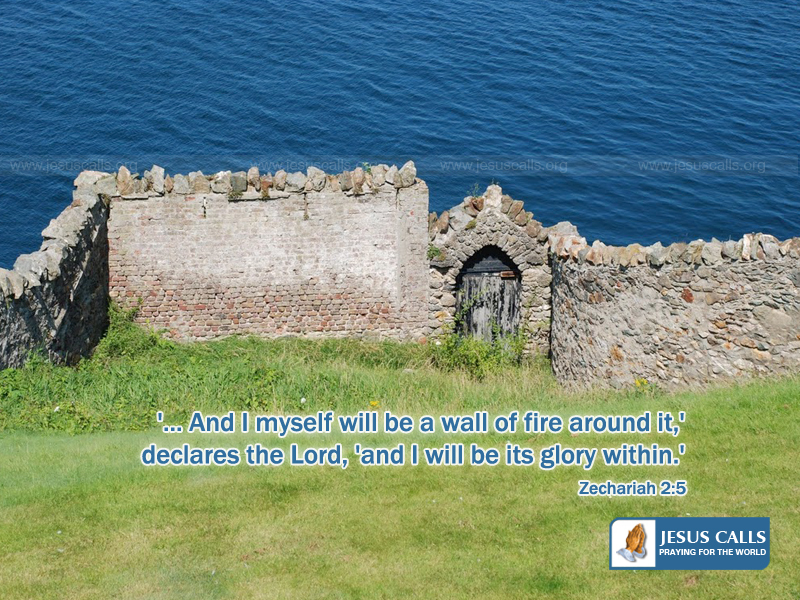 It will erode your self-esteem and rob you of everything that Jesus has already done for you. Instead, find confidence in knowing who you are in Jesus Christ. Because He died, you can live in power. Because of what He went through, you get all the rewards—you get the peace, the power, the strength and the anointing to overcome every obstacle you will ever face. I have…and as I’ve sought the Lord about it, I’ve come to realize that, for the most part, it’s because those of us who are already saved don’t pray persistently for those who aren’t. Instead of persevering–staying before the Father, praying for them to receive the bread of salvation–like the man in Luke 11:8 did for his friend, when we don’t see immediate results, we simply give up and go home. You see, God will not go against the will of people. But He will move through your intercession to reveal Himself. Through your persistent prayers, He will bring them to the knowledge of their need for Him. Then they’ll reach out for Him and spiritual rebirth can take place! If you’re sitting around waiting on God to save Aunt Mary or Uncle Jim or your best friend…stop sitting around! Get busy interceding for them. Persevere in prayer. Pray the prayer in Ephesians 1:16-23 for them, refusing to give up until they’re safely inside God’s kingdom. keep me trusting You, talking to You, and leaning on Your promises. Dear Lord God, I praise You. I worship You. The law of the Lord is perfect; reviving my soul. Loving God, I sing You hymns of praise with my lips of pureness on this beautiful morning for You have comforted my heart after a long darkness night.May God renew my strength and anoint me with oil of joy and bless me every success in all areas of my life from today till eternity! This entry was posted in WALTER'S WEB and tagged christianity, EVERYTHING, FAITH, FALSE PROPHETS, FULL GOSPEL, GIFTS OF THE SPIRIT, HEALING, HOLY SPIRIT, JESUS CHRIST, WALTER KAMBULOW, WORD OF FAITH on August 31, 2014 by WALTHOPE. Acts 7:9 “And the patriarchs, becoming envious, sold Joseph into Egypt. But God was with him 10 and delivered him out of all his troubles, and gave him favor and wisdom in the presence of Pharaoh, king of Egypt; and he made him governor over Egypt and all his house. 3 John 1: 1 The Elder, To the beloved Gaius, whom I love in truth:2 Beloved, I pray that you may prosper in all things and be in health, just as your soul prospers.3 For I rejoiced greatly when brethren came and testified of the truth that is in you, just as you walk in the truth.4 I have no greater joy than to hear that my children walk in truth. Just like Joseph who was sold as a slave into Egypt and whom God delivered out of all his troubles, and made him governor over Egypt and all his house, God wants to do the same for all His trusting ones as He is no respecter of persons and is a mighty Savior, Healer and Deliverer even in the current time! The answers of life are not in men’s wisdom or the world’s system. It is not in the abundance of what one possesses. It is in Jesus Christ, His truth and His wisdom and person in one’s spirit. This closer walk with God and His person brings a person into a position of unity with Heaven that is yet untapped and totally miss-understood. God doesn’t want His teachers and preachers to point to themselves but to God. He wants His sheep to turn to Him and He will give them their marching orders. Then, they will find victory in battle and they will do the right kind of service to Him. They all have a part in His great plan and purposes. Yet, God is left with a weak and hurt people. This will not be forever. He is coming through to strength His people and unite them in a way unprecedented in the history of the church. He has ordained it from the beginning. The church, His body, will learn to learn and hear His voice and follow their true shepherd. This day is coming and all will see it. This entry was posted in WALTER'S WEB and tagged christianity, FAITH, FALSE PROPHETS, FULL GOSPEL, GIFTS OF THE SPIRIT, HEALING, HOLY SPIRIT, MIRACLES, Prosperity and Promotion‏, THE BAPTISM OF THE SPIRIT, THE KINGDOM OF GOD, VICTORY, VICTORY MINISTRIES, WALTER KAMBULOW, WORD OF FAITH on August 31, 2014 by WALTHOPE. “And to the angel of the church of the Laodiceans write, ‘ These things says the Amen, the Faithful and True Witness, the Beginning of the creation of God: “I know your works, that you are neither cold nor hot. I could wish you were cold or hot. “So then, because you are lukewarm, and neither cold nor hot, I will vomit you out of My mouth. “Because you say, ‘I am rich, have become wealthy, and have need of nothing’-and do not know that you are wretched, miserable, poor, blind, and naked- “I counsel you to buy from Me gold refined in the fire, that you may be rich; and white garments, that you may be clothed, that the shame of your nakedness may not be revealed; and anoint your eyes with eye salve, that you may see. 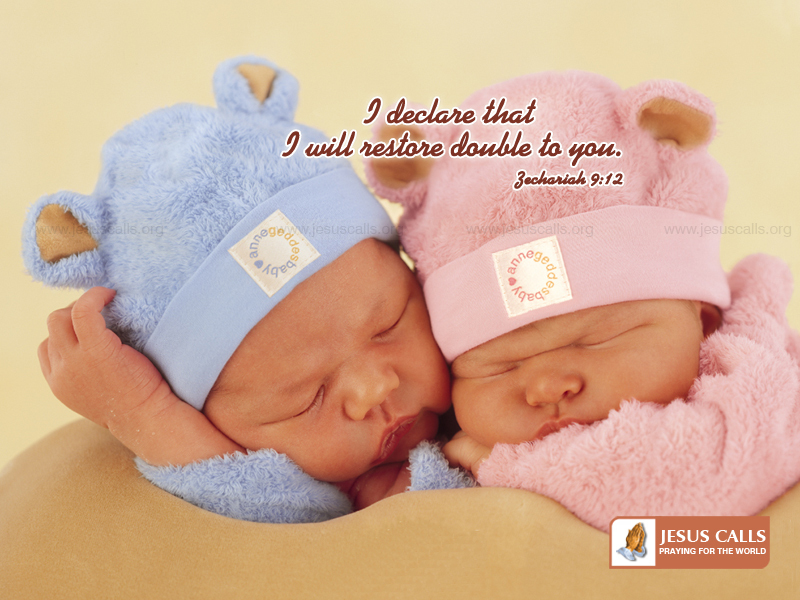 “As many as I love, I rebuke and chasten. Therefore be zealous and repent. “And to the angel of the church in Sardis write, ‘ These things says He who has the seven Spirits of God and the seven stars: “I know your works, that you have a name that you are alive, but you are dead. “Be watchful, and strengthen the things which remain, that are ready to die, for I have not found your works perfect before God. 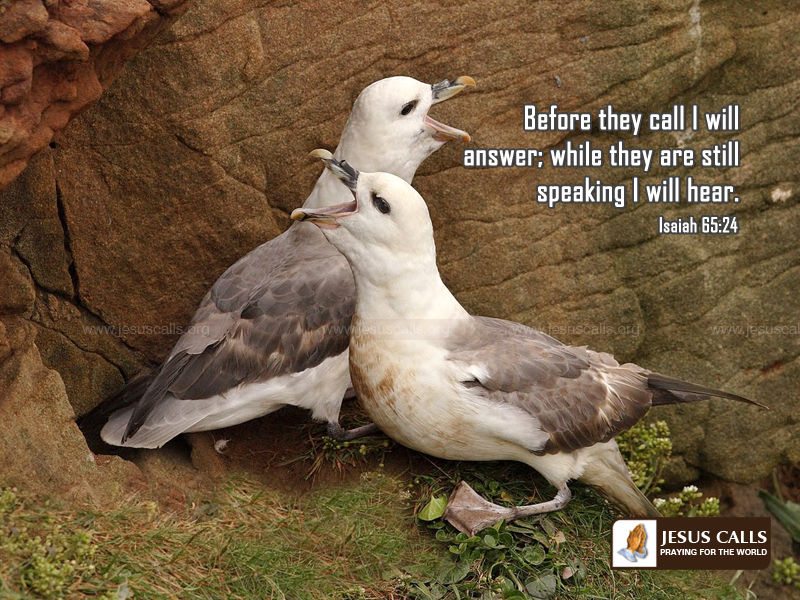 “Remember therefore how you have received and heard; hold fast and repent. Therefore if you will not watch, I will come upon you as a thief, and you will not know what hour I will come upon you. It’s possible to know and believe everything about the bible including all its doctrines and not obey the first and second commandment of God and to go to hell. Fools do it all the time including the devil. You can believe that God is the Eternal, infinite, unchangeable, perfect in holiness, wisdom, goodness, justice, power and love and still not obey Him? You can believe that from all eternity He exists as the One Living and True God in three persons of one substance, the Father, the Son, and the Holy Spirit, equal in power and glory and still murder, lie and steal? Why there are even pastors and preachers who do these kinds of things and yet they believe and say the different Christian creeds. You can believe that God’s kingdom is everlasting and that from His throne, through His Son, His eternal Word, God created, upholds and governs all that exists including the heavenly places, the angelic hosts, the universe, the earth, every living thing and mankind and that He created all things very good and still not trust Him to get your needed miracle? You can believe that God created mankind in His own image, male and female, for relationship with Himself and to govern the earth and that under the temptation of Satan, our original parents fell from grace, bringing sin, sickness and God’s judgment of death to the earth and through the fall, Satan and his demonic hosts gained access to God’s good creation and live in defeat and failure and not manifest the victories of the cross in your life? You can believe that Jesus came into the world, conceived by the Holy Spirit and born of the virgin as fully God and fully man in one person, was anointed as God’s Messiah and empowered by the Holy Spirit, to resist temptation, preach the good news of salvation, heal the sick, cast out demons and raise the dead and not do the works that Jesus did? You can believe what ever you want to believe about the bible, the old and new testament and not love your neighbor as yourself? You can graduate from Seminary, call yourself a Christian and reject the “Baptism of the Spirit and the gifts of the Spirit” and be a blind one leading the blind? You can be very sincere and religious and still go to hell for not obeying the teachings of Jesus on certain matters as being reconciled to an offended brother or not being a respecter of persons? This entry was posted in WALTER'S WEB and tagged christianity, FAITH, FALSE PROPHETS, FULL GOSPEL, GIFTS OF THE SPIRIT, HEALING, HOLY SPIRIT, TWO EVILS, VICTORY, VICTORY MINISTRIES, WALTER KAMBULOW, WORD OF FAITH on August 30, 2014 by WALTHOPE. The anointing which you have received from Jesus abides in you and is released into your situation when you call upon His name. When King Saul disobeyed God, the prophet Samuel told him, ‘When you were little in your own eyes… did not the Lord anoint you king over Israel?… Why then did you not obey the voice of the Lord?’ (1 Samuel 15:17-19 NKJV) There’s a sobering lesson here. The most dangerous moment in your life is when you think you can succeed without God. When you get a few wins under your belt, it’s easy to forget Who’s responsible for your success. Where once you would have consulted God, you now launch out on your own and ask Him to add His blessing to your decisions. You say, ‘But things are going pretty well for me these days.’ Then remember Who made your success possible, and live with gratitude and dependence on God! Looking back on how God blessed Israel, the Psalmist records, ‘Then they believed His words; they sang His praise. [But] they soon forgot His works; they did not wait for His counsel.’ (Psalm 106:12-13 NKJV) Our capacity for forgetfulness is staggering. The old-timers used to tie a string around their finger to remind them of something they might easily forget. Maybe you need to wear a string on your finger to remind you that God is the secret, the source of all your blessings. Frustrated by how long he had to wait in line to renew his driver’s licence, the CEO of a big plumbing company asked his wife, ‘Don’t they know who I am?’ She responded, ‘Yes, you’re a plumber’s son who got lucky.’ The word for today is: stay humble, and don’t get too big for your boots! Fear not. Trust in your heavenly Father who gives you round-the-clock protection. Abraham considered not his own body. In other words, Abraham ignored the natural evidence around him and believed only God’s promise. I don’t care how badly you may have messed things up yesterday or how many mistakes you have made, I want you to begin this day knowing you are righteous! Not because of anything you’ve done but because you’ve received, by faith in Jesus, the very righteousness of God. “The righteous shall flourish like the palm tree” (Ps. 92:12). “When it goeth well with the righteous, the city rejoiceth” (Prov. 11:10). “The seed of the righteous shall be delivered” (Prov. 11:21). “For the eyes of the Lord are over the righteous, and his ears are open unto their prayers” (1 Pet. 3:12). “For thou, Lord, wilt bless the righteous; with favour wilt thou compass him as with a shield” (Ps. 5:12). “The righteous cry, and the Lord heareth, and delivereth them out of all their troubles” (Ps. 34:17). “I have been young, and now am old; yet have I not seen the righteous forsaken, nor his seed begging bread” (Ps. 37:25). “The righteous shall inherit the land, and dwell therein forever” (Ps. 37:29). “The Lord loveth the righteous” (Ps. 146:8). This entry was posted in WALTER'S WEB and tagged christianity, FAITH, FALSE PROPHETS, FULL GOSPEL, GIFTS OF THE SPIRIT, HEALING, HOLY SPIRIT, JESUS CHRIST, release, VICTORY MINISTRIES, WALTER KAMBULOW, WORD OF FAITH on August 30, 2014 by WALTHOPE. Christians: The “softer, kinder, gentler” approach ain’t working. One of the perpetual myths well-intentioned Christians indulge in is that if we are just nice enough, winsome enough and persuasive enough, everybody will love us and eventually agree with us. This is a pernicious and fatuous lie. It is a deception forged by the father of lies to induce Christians to be passive, meek and timid instead of bold clarions of truth and true justice. By believing this lie, we have neutered ourselves in the public arena. Rather than winning others to our side, we have earned only their dismissive contempt. Rather than respecting us, they now feel free to punish us by shutting us up and shutting us down, and sending us off to re-education camps if we won’t cooperate. It’s been tragic to watch as one pro-family leader and organization after another has lost its nerve and gone to ground rather than going to the mat. Organizations that once stood as beacons of light for the entire nation are now largely forgotten and ignored. They no longer have a message that the world fears. They have been domesticated. But we do not serve a domesticated king. We serve the Lion of Judah, who is not, any more than Aslan was, a tame lion. It’s time to be done with the “nicer than Jesus” mentality. It never has worked, and it never will work. It only fools us into thinking we are being Christ-like when in reality we are only being wimps. The odd thing is that Christians who have lost their spine and have become silent and soft are often harshly critical of those Christians who do stand publicly and without apology for the time-honored truths of Scripture. This is especially the case when it comes to things such as declaring that homosexuality is not a benign alternative to heterosexuality but a form of sexually deviant behavior. Jesus wasn’t crucified for being nice. 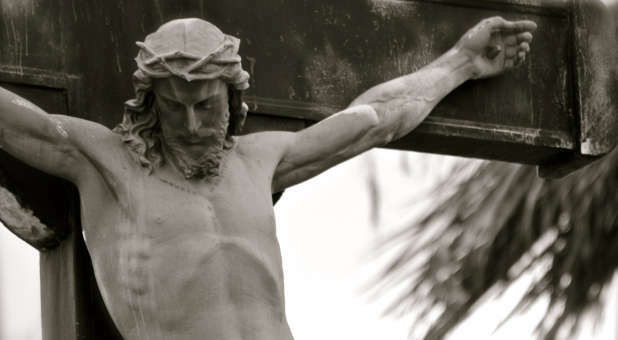 He was crucified for being bold and confrontational. Don’t misunderstand: He was the kindest man who ever lived. But he wasn’t a sap. He knew when kindness was called for, and he knew when it was time to get up in somebody’s grill and challenge them with the truth. Jesus had no hesitation about speaking truth to political power. The Pharisees and the Sadducees were the politicians of Jesus’ day. They passed laws that controlled the details of the ordinary, daily lives of everyone who lived in Israel. They could arrest people for violating those laws, detain them, put them on trial, flog them, and even persuade the Romans to put them to death. Thoroughly unintimidated by their police powers, Jesus rebuked them publicly and directly and even knew when to call them “a brood of vipers” (Matt. 23:33, ESV) and the spawn of Satan: “You are of your father the devil” John 8:44). So let’s not hear any more of that nonsense about how Jesus was not involved in politics. He was involved in politics, and in the end it cost Him His life. Bottom line: God has not called us to be nice. 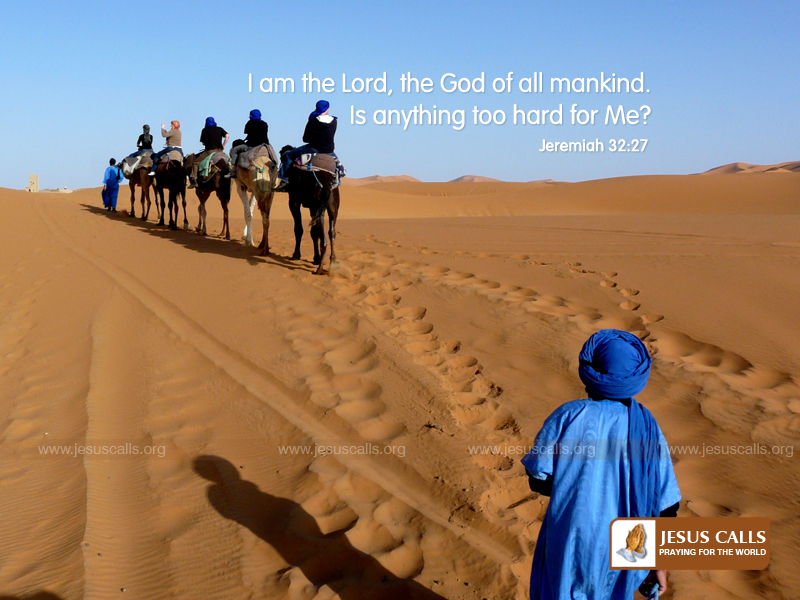 He has called us to be good. Nice people never confront evil and error, but good people do. It is the truth that sets men free, and genuine love will drive us to declare the truth no matter the cost. It’s time to put on the full armor of God, unsheathe the sword of the Spirit, and go to war. This entry was posted in WALTER'S WEB and tagged christianity, FAITH, FALSE PROPHETS, FULL GOSPEL, GIFTS OF THE SPIRIT, HEALING, HOLY SPIRIT, JESUS CHRIST, MIRACLES, NOT A WIMP, VICTORY MINISTRIES, WALTER KAMBULOW, WORD OF FAITH on August 29, 2014 by WALTHOPE. There were present at that season some who told Him about the Galileans whose blood Pilate had mingled with their sacrifices. And Jesus answered and said to them, “Do you suppose that these Galileans were worse sinners than all other Galileans, because they suffered such things? “I tell you, no; but unless you repent you will all likewise perish. “Hear another parable: There was a certain landowner who planted a vineyard and set a hedge around it, dug a winepress in it and built a tower. And he leased it to vinedressers and went into a far country. “Now when vintage-time drew near, he sent his servants to the vinedressers, that they might receive its fruit. “And the vinedressers took his servants, beat one, killed one, and stoned another. “Again he sent other servants, more than the first, and they did likewise to them. “Then last of all he sent his son to them, saying, ‘They will respect my son.’ “But when the vinedressers saw the son, they said among themselves, ‘This is the heir. Come, let us kill him and seize his inheritance.’ “So they took him and cast him out of the vineyard and killed him. More than one Jesus Christ has warned men that God will destroy wicked men and lease His vineyard to other vinedressers who will render to him the fruits in their seasons. What God has done before He can and will do again. Where are the seven churches in Asia minor to whom Apostle John wrote too and they refused to heed what the Spirit was saying to the churches? Their candlestick was removed and they became a nonexistent thing! “For the kingdom of heaven is like a man traveling to a far country, who called his own servants and delivered his goods to them. “And to one he gave five talents, to another two, and to another one, to each according to his own ability; and immediately he went on a journey. “Then he who had received the five talents went and traded with them, and made another five talents “And likewise he who had received two gained two more also. “But he who had received one went and dug in the ground, and hid his lord’s money. “But his lord answered and said to him, ‘You wicked and lazy servant, you knew that I reap where I have not sown, and gather where I have not scattered seed. ‘So you ought to have deposited my money with the bankers, and at my coming I would have received back my own with interest. This entry was posted in WALTER'S WEB and tagged christianity, FAITH, FALSE PROPHETS, FULL GOSPEL, GIFTS OF THE SPIRIT, HEALING, HOLY SPIRIT, JESUS CHRIST, PERISH, VICTORY MINISTRIES, WORD OF FAITH on August 29, 2014 by WALTHOPE.